Home >> Airlines >> IndiGo >> IndiGo explains the Katyal manhandling incident, admits fault. IndiGo A320 at Bengaluru airport. Image copyright Devesh Agarwal. Low cost carrier IndiGo has written a detailed clarification to the Civil Aviation ministry explaining the manhandling incident of Mr. Katyal at New Delhi airport. The letter written by Mr. Aditya Ghosh, IndiGo’s President and Wholetime Director is addressed to Mr. P. Ashok Gajapathi Raju, the Union Minister for Civil Aviation, Government of India. 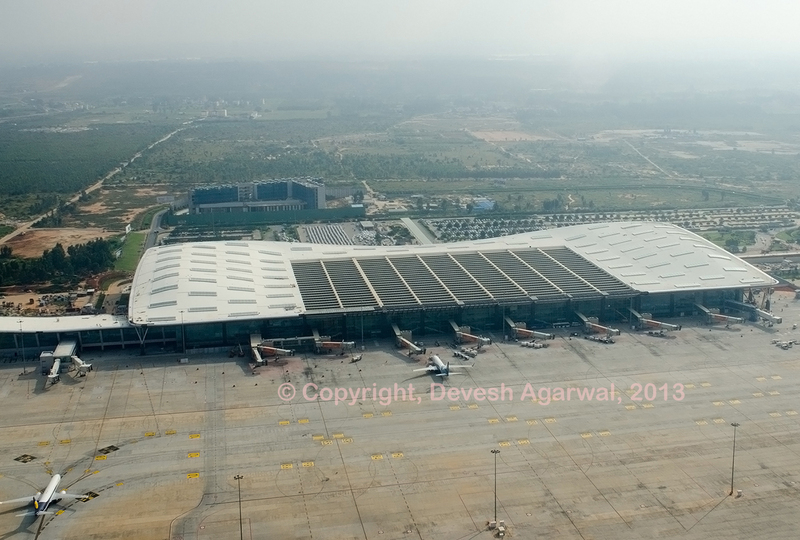 “By way of background, when an aircraft is parked at the parking bay after landing, there is a very high-level of ambient noise from the auxiliary power unit, the air-conditioning packs of the aircraft, the motorized baggage conveyor belt, passenger buses and from other aircraft in the vicinity. After passengers have deplaned, it is a laid down procedure that, in the interest of safety, passengers be prevented from approaching any of the live ground equipment being used. When our staff Juby Thomas saw Mr. Katyal inadvertently moving towards the catering high-lift (which was attached to the aircraft), Juby Thomas started waving frantically from a distance in order to ask Mr. Katyal to move away with the sole intention of preventing any accident. When Mr. Katyal could not comprehend what Juby Thomas was trying to convey, Juby Thomas started shouting in a much louder voice to overcome the very loud ambient noise around the aircraft. It is possible that due to the very noisy ramp area, Mr. Katyal could not hear Juby Thomas properly and which lead to a miscommunication where Mr. Katyal may have felt that Juby Thomas was being rude. The reality is that Juby Thomas was only trying to ensure the safety of Mr. Katyal and prevent an accident. We understand that Mr. Katyal was irritated and irate. Unfortunately, at the spur of the moment, it seems that Mr. Katyal asked Juby Thomas to “F***-*ff”. In hindsight, Juby Thomas should have probably ignored the remark. However, Juby Thomas turned around and asked Mr. Katyal why he is abusing him. To this Mr. Katyal responded by asking Juby Thomas to go do his own work. The irony of the fact is that Juby Thomas was indeed doing his work and ensuring safety of passengers. In an ideal scenario, Mr. Katyal would have moved away, boarded the bus from the ramp area and gone to the arrival hall and the matter would have ended there. 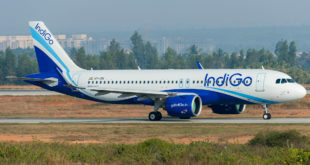 IndiGo explains the termination of its employee Mr. Montu Kalra who claimed to be victimised as a “whistleblower”, was actually due to his instigating the junior IndiGo employees to deny passenger Katyal from boarding the bus to the terminal which ultimately led to the flare-up and physical altercation. The ex-employee, Montu Kalra who was terminated and is claiming to be the ‘whistleblower, is the one you can hear shouting in the video and instructing the other two colleagues who were junior to him to prevent the customer from boarding the bus and holding him back at the ramp area itself. Montu Kalra was a cargo employee. He had no reason to approach the passenger area. He had no reason to prevent the customer from boarding the bus. He had no reason to scream instructions at his other colleagues. In fact, even if he chose to get involved, since he was 4 years senior to them in the Company, he should have acted maturely and apologized to the customer and let him proceed towards the arrival hall. On the other hand, what he actually did was that he instigated the incident and further provoked the customer by beginning to shoot a video on his mobile phone. He is the exact opposite of what IndiGo’s customer service stands for. It is important for us to point out that Montu Kalra was not terminated because he either shot a video or as he is now claiming, brought this to our attention. 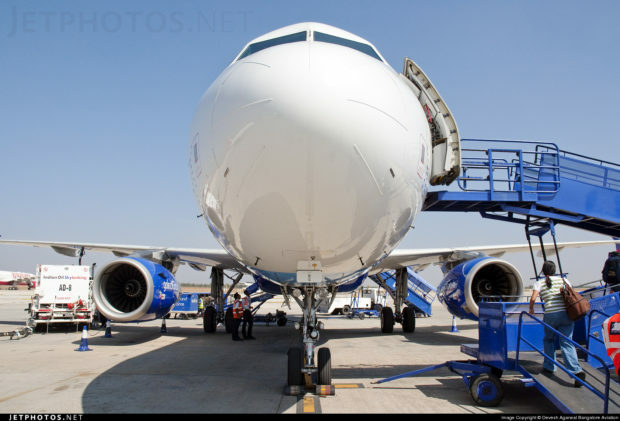 In fact, the reality is, that it is the other employee, Juby Thomas, is the one who raised this issue with his supervisor as per IndiGo’s standard operating procedure and brought this incident to the attention of the Company. In my opinion, this whole incident demonstrates what not to do at an airport. Both from the airline staff standpoint, and the passenger standpoint. The passenger Katyal used words to the effect “step outside …..”. Universally this is a trigger word that implies a direct threat to the other person, in this case the airline staff. The staff have to be trained in how to keep their presence of mind, and get their operational goals achieved without escalating a situation, and IF already escalated, to de-escalate and defuse a tense situation. In this day and age of terrorism, threats, and air rage, it is imperative we all keep our composure. The airline too has failed on multiple fronts by failing to immediately report this incident to the security authorities on its occurrence, as required by the rules. Surely there are certain bounds of provocation after which the employees should be allowed to protect themselves. As an employer of choice surely IndiGo does not expect its employees to just become punching bags?